Star Wars brings the galaxy closer with a series of online animated shorts aimed at kids – "Star Wars Galaxy of Adventures"
Star Wars is bringing the franchise back how to the kids in the recent release of the official trailer for Star Wars Galaxy of Adventures, a collection of short-form animations based in the galaxy far far away. And the animation itself is quite endearing to say the least, lithe and organic. We are a suckers for the frame by frame sh*t.
Aw, Princess Leia stern, angry point is everything. Disney announces and releases the trailer for their new series of animated shorts, Star Wars Galaxy of Adventures. 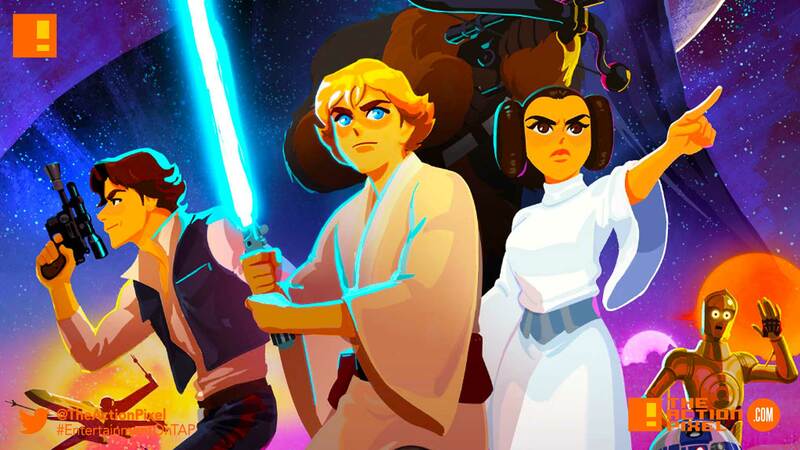 Adventure awaits you and the younglings in your life in Star Wars Galaxy of Adventures, a new series of animated shorts that will introduce the classic themes, pivotal moments and iconic characters from the Star Warssaga to the next generation.